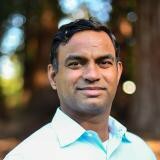 Sai Koppala is the Chief Marketing Officer at SheerID, a digital verification SaaS company that enables major organizations such as Amazon, Spotify and Lowe's to offer omnichannel loyalty programs with little friction and reduced fraud. SheerID’s platform integrates seamlessly into any existing loyalty program or exclusive experience across channels, instantly verifying consumer credentials to ensure exclusive offers remain exclusive. Sai is a Silicon Valley veteran with over 20 years of experience leading Marketing and Product teams at global software companies including SAP, Google Cloud, & Sun Microsystems. His knowledge of facilitating customer growth through product innovation and customer loyalty best practices have made him an integral part of the SheerID team, working with Fortune 500 and 1000 retailers across the globe. Check out the incredible speaker line-up to see who will be joining Sai.